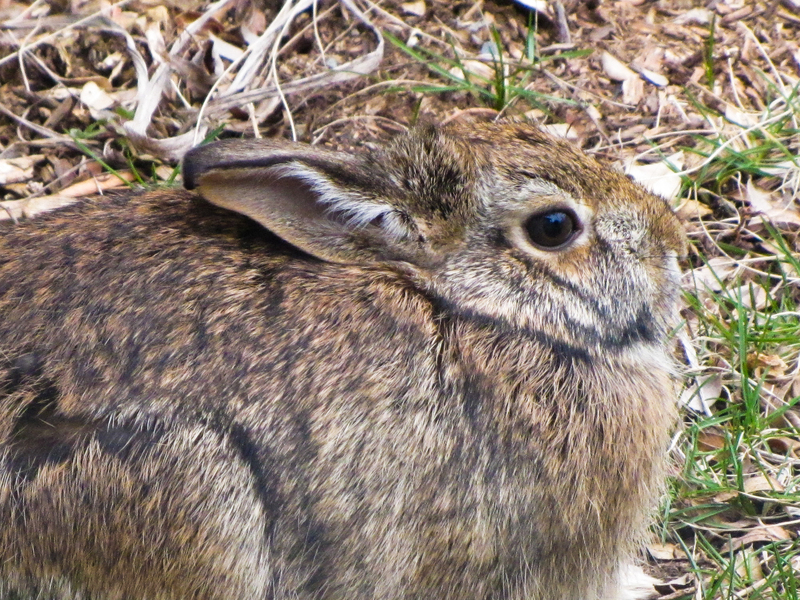 Last week I opened the curtains one day to find the Easter Bunny getting in some relaxation before Easter weekend, so I snapped a few photos through the window. 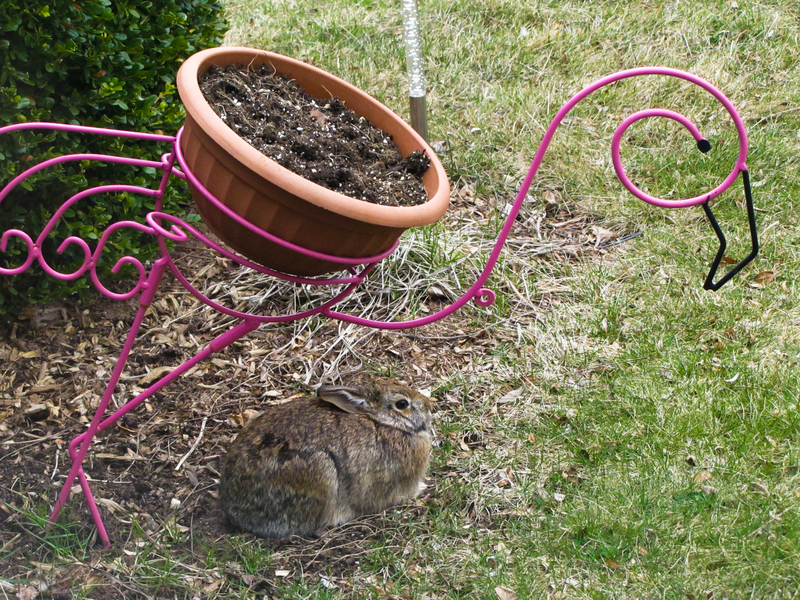 I realize that lying underneath something makes him feel protected from predators above, but I’m not sure how safe I’d feel under the decidedly off-balance flamingo planter. 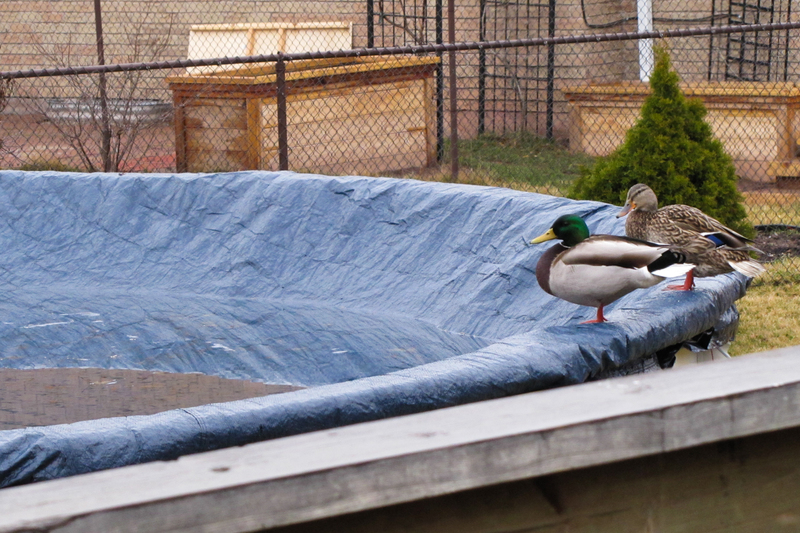 While the bunny was relaxing in our yard, the neighbours had some friends drop by for an early spring swim. 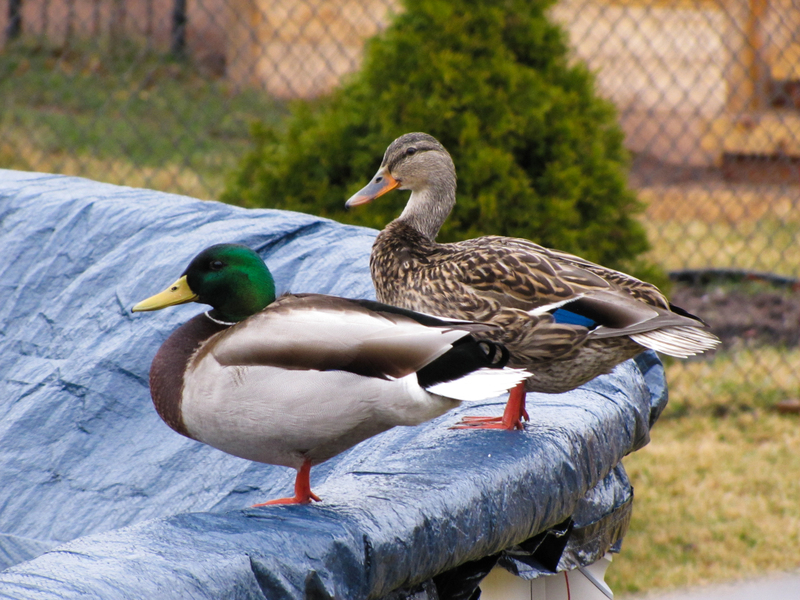 I love the ducks on the pool. Did they go for a swim in the water? The birds of all kinds quite enjoy this large, but shallow, source of water while the cover is still on each spring. They get quite a shock the first day the cover comes off and they attempt to land as usual.